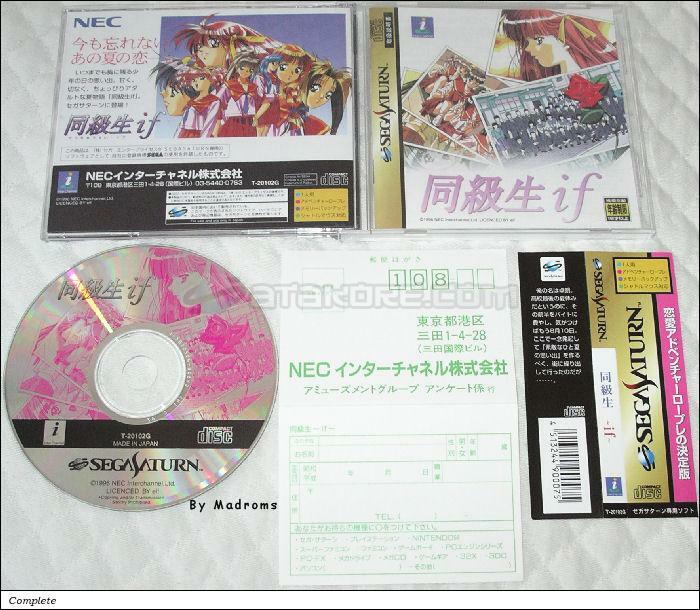 Doukyuusei ~if~ (同級生　〜ｉｆ〜) is an Adventure - Dating game, developed by Elf / Flight-Plan Inc. and published by NEC Interchannel, Ltd., which was released in Japan in 1996 for the Sega Saturn. 5 .BMP files in the CLASS.DAT file (renamed .lzh file). Inside the .lzh file, the OMAKE5.BMP file is in fact an Ish compressed file that contains 1 .BMP file and 1 .DOC file.